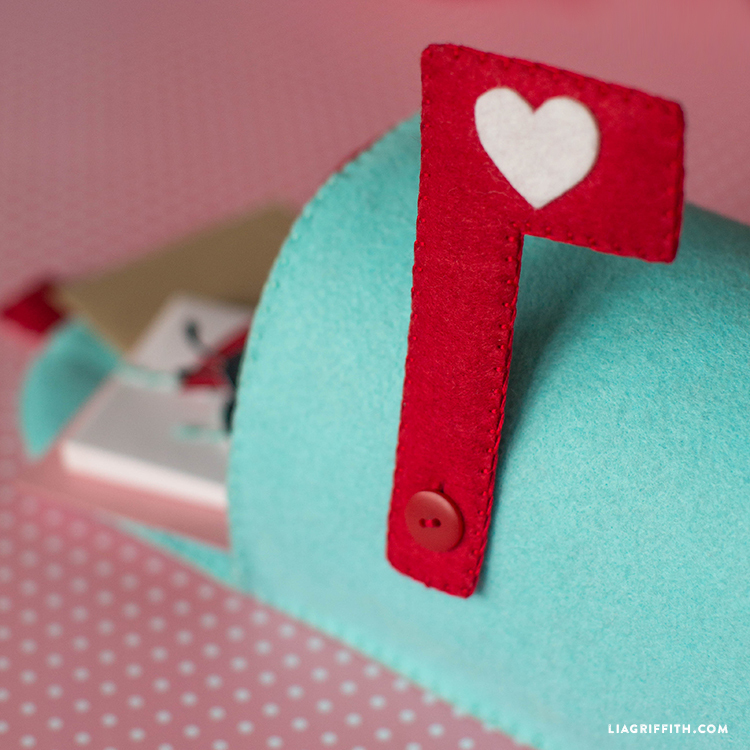 A few years ago we shared a project to make a paper Valentine’s Day mailbox that kids can use to carry their valentines to and from school. 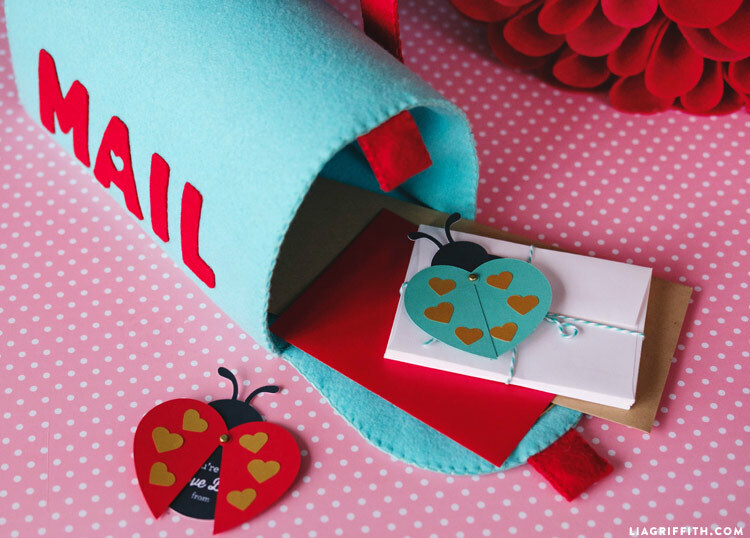 Because we are always trying to one-up ourselves, we created this tutorial to make DIY play mailbox out of felt. 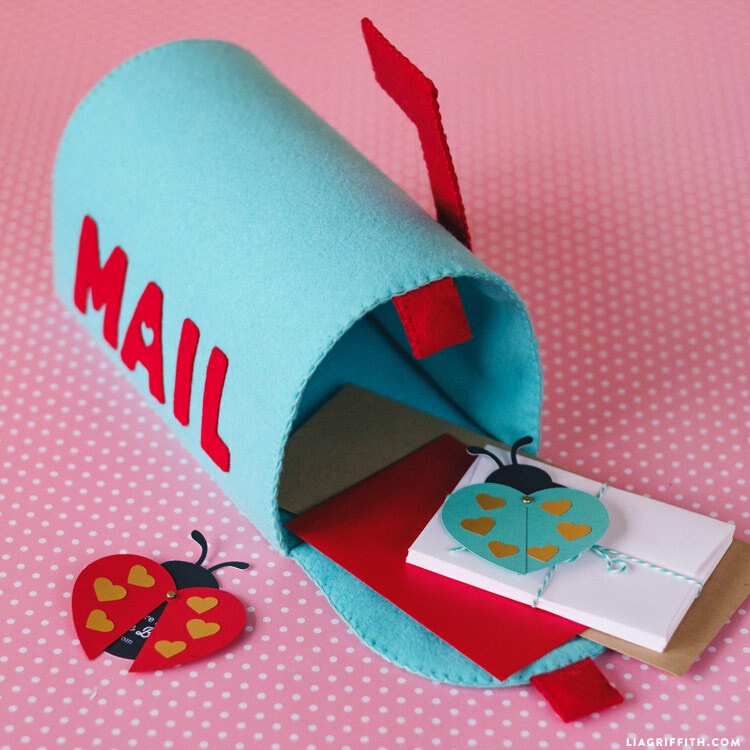 This adorable play mailbox is perfect for Valentine’s Day, but the tutorial is great for a DIY toy any time of year! 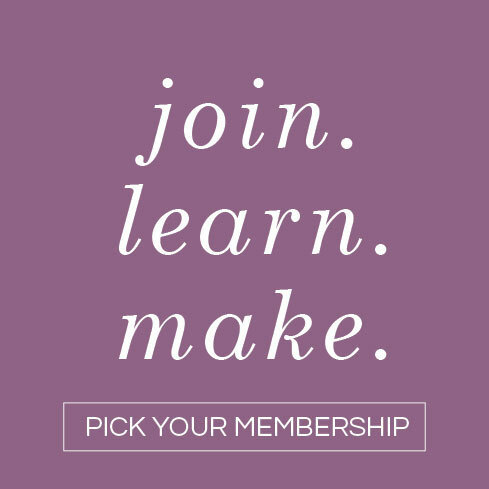 Customize the design with your own color palette and accents to really make it your own. 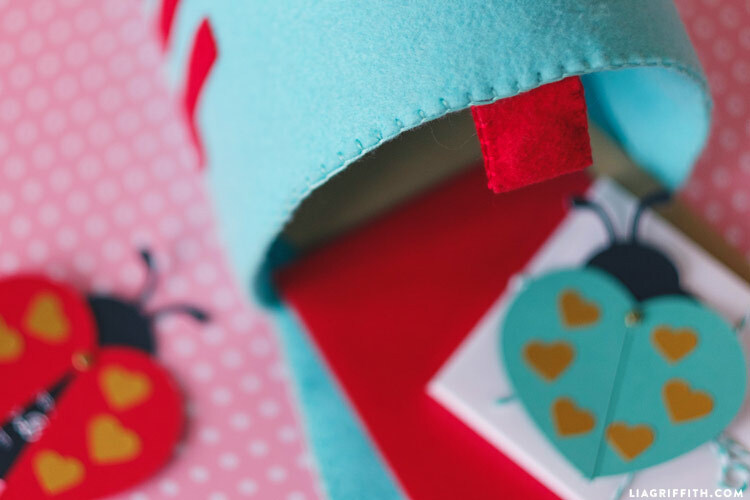 This project is something that can last for years to come, and it’s a great activity that you can make together with your kids, especially if you want to start introducing some basic sewing stitches. 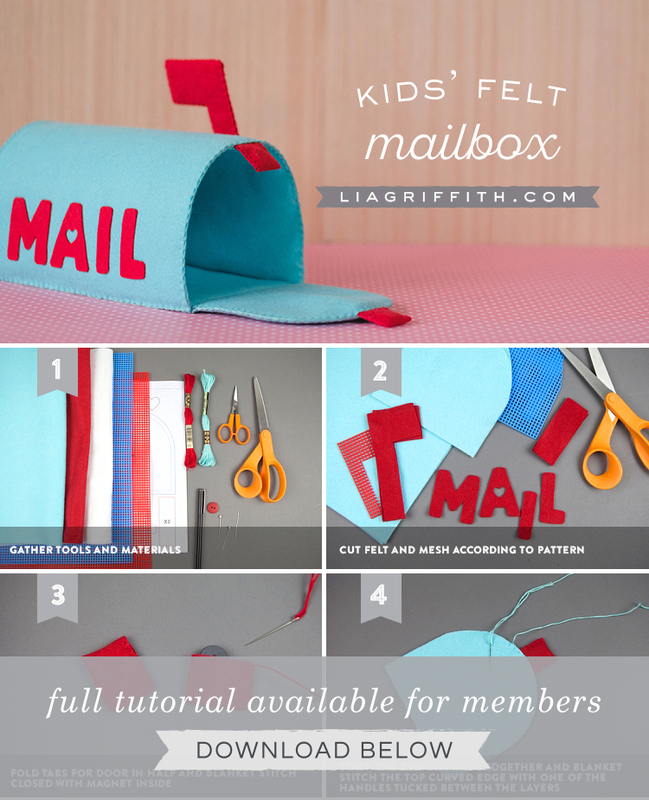 Start by gathering your tools and materials, then print the PDF template below to use as a guide for cutting your felt mailbox pieces. 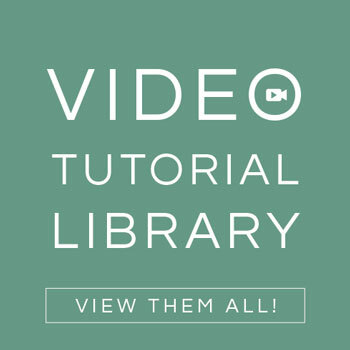 Find all the detailed instructions in the download below, and then use the photo tutorial for a visual guide as you craft! We picked out our fabric from our local Fabric Depot because we were able to find 12 x 19 sheets. You will need the larger sheets in order to cover the entire mailbox. For this project we also used mesh sheets in order to hold the shape of the mailbox and flag. It’s such an easy crafting trick, and you can find mesh sheets at any craft or fabric store. 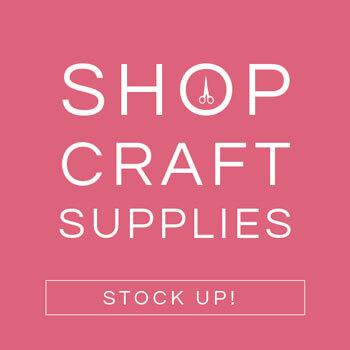 When you are cutting your felt letters, we recommend tracing the template onto your felt, then snip with a small pair of scissors for more precise handling. To cut the heart out of the A, fold the felt piece in half. As you can see in the tutorial, we use stitch witchery to adhere the letters to the play mailbox. You can find stitch witchery in bolts so that you can trim any sized piece that you need. Be sure to place a piece of cloth between the iron and the felt when you are ironing – the felt can burn easily and it can also start to smell, depending on the quality of the felt. If you want some guidance on blanket stitching, head over to our Felt 101 video for a detailed tutorial! Is there a machine that cuts out the crepe paper flower petals? Unfortunately it looks like they do not have the same colors online as in store, and we are unsure of the actual color name because the felt didn’t have a sticker on it. We do know it was a wool blend in a true, bright aqua color. Hope that helps! Hi Lia, This is beyond adorable! I think my son would love it — he already plays with his felt hamburger (made with your design) everyday! For the magnets, about what size would fit in the red tab? 1/2 in diameter? Or do they need to be smaller? Also, for the mesh, I’ve seen some Darice brand mesh online, with reviewers saying it’s “floppy”. Is that better for this type of project — so it’s more bendable? Or should it be a little more stiff? If you have a brand/item name you’ve used, would love to hear–rather than have to return products online! The magnets we used were 3/4″ in diameter (which is about the same size as the red button). Smaller is fine as long as the magnet is strong enough. 🙂 We also used the Darice mesh and it worked well, so it is bendable when finished and not too stiff compared to using a plastic sheet or cardboard. Hope that helps! 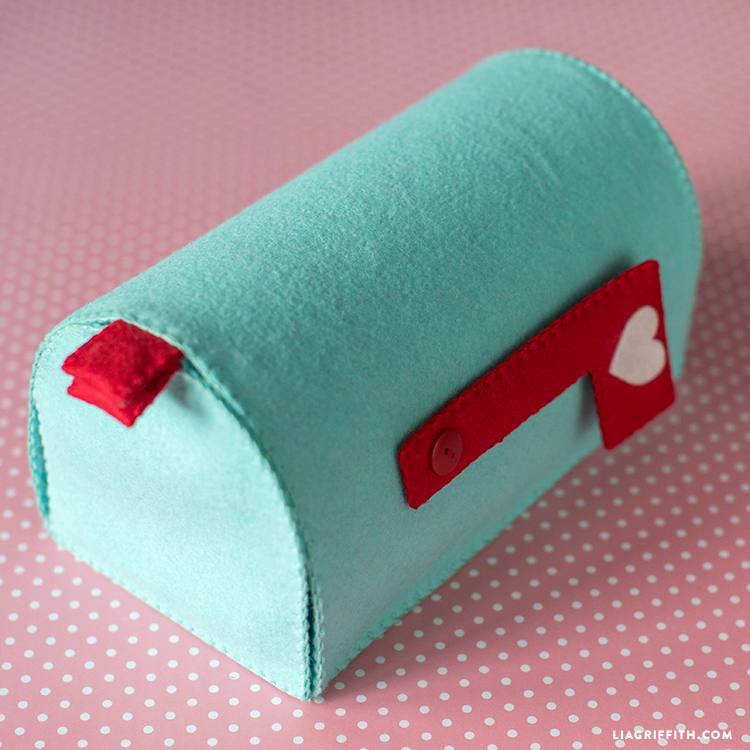 so beautiful mail box and i really like its design.You shared amazing guide to design it and want to make it at my home.